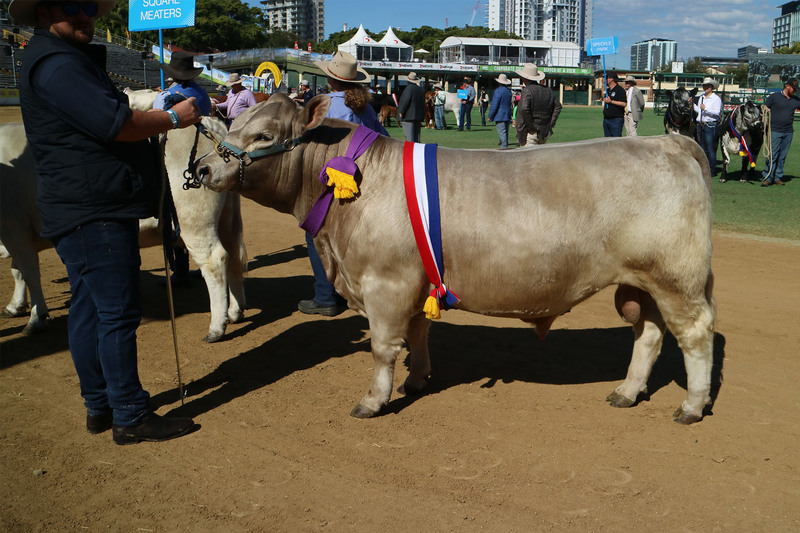 Judge, Mr James McWilliam commented that he was looking for functionally in judging the powerful showing of Square Meaters at this event. 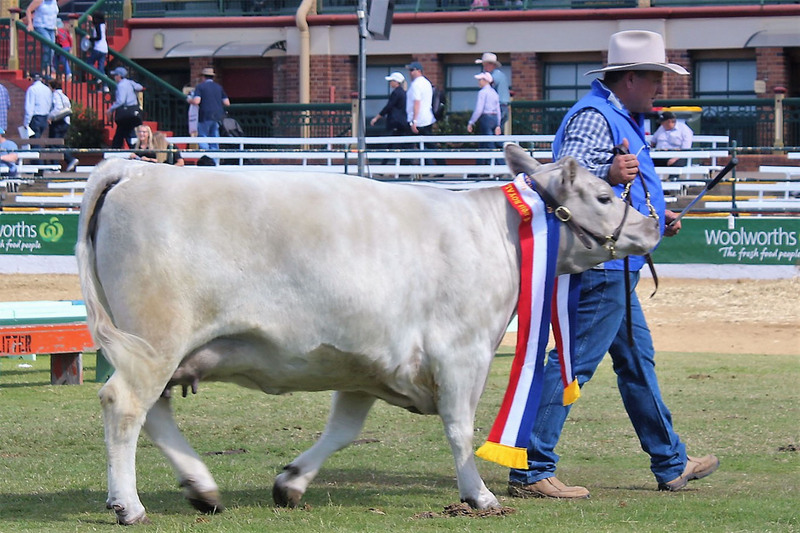 He selected the Junior Champion Bull, Rosellinos Noble exhibited by Eric and Marlene Ross as the Grand Champion Bull over the Senior Champion Bull Oakvale Man-O-Man exhibited by Gary and Heather Sewell. 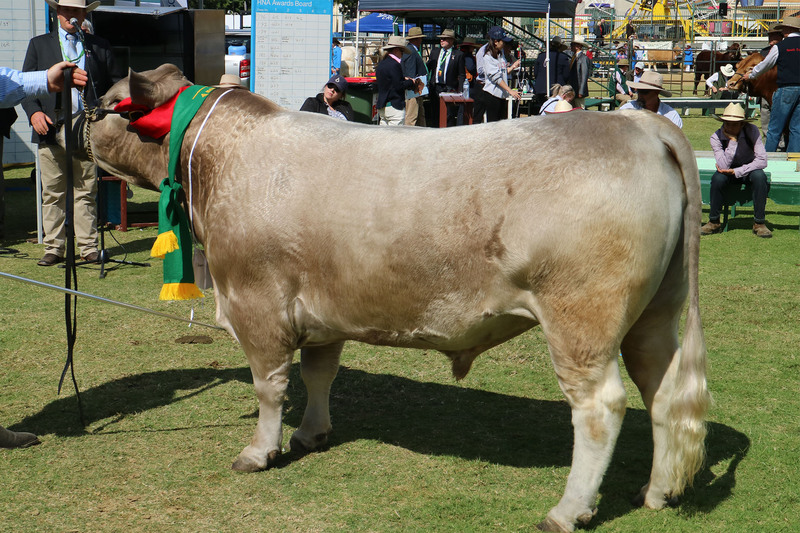 Mr McWilliam stated that the Junior Bull “Rosellinos Noble” stood out for his Sire appeal, functionally, carrying a lot of carcase, weighing 483 kgs with an EMA of 84 sq cm. 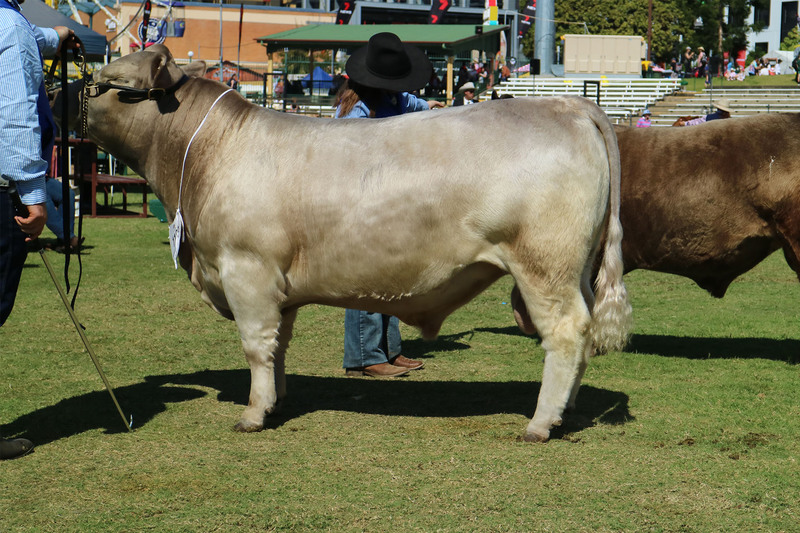 He has a lot of performance and refinement for a 16 month old and could go out as a sire for different specifications. 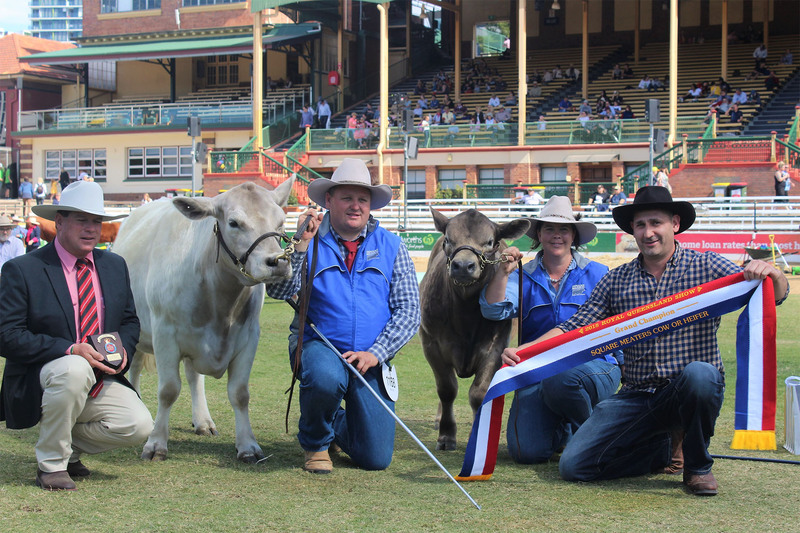 Eric and Marlene Ross also exhibited the Reserve Junior Champion Bull, Rosellinos Neptune and Reserve Senior Champion Bull with Rosellinos Mytech and Reserve Champion Junior Heifer with Rosellinos Nerida and pair of Bulls with Rosellinos Mytech and Rosellinos Noble. 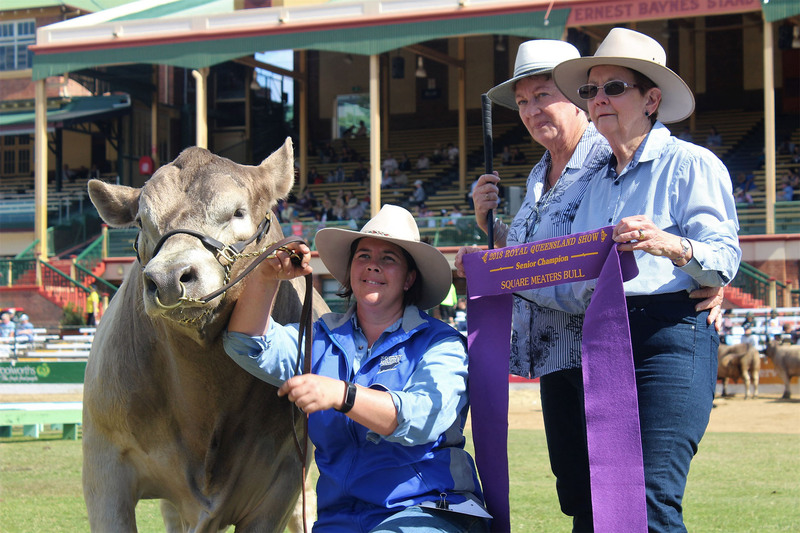 Gary and Heather Sewell exhibited the Grand Champion Female, with Oakvale Helen K17. 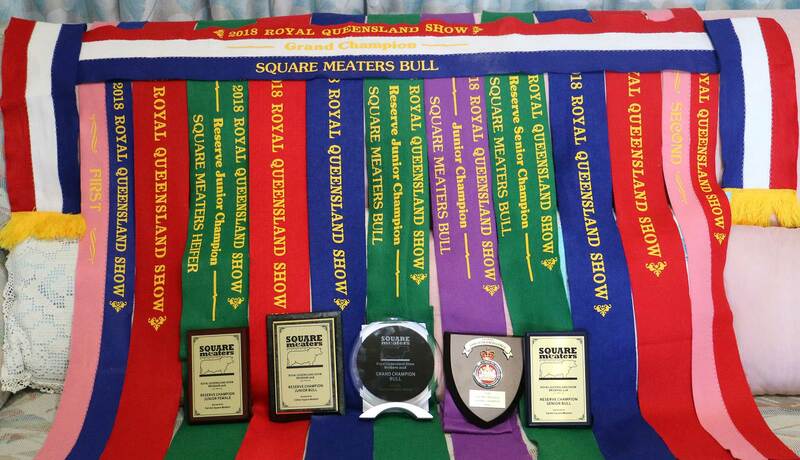 Mr McWilliam praised the quality of a good showing of really strong females. 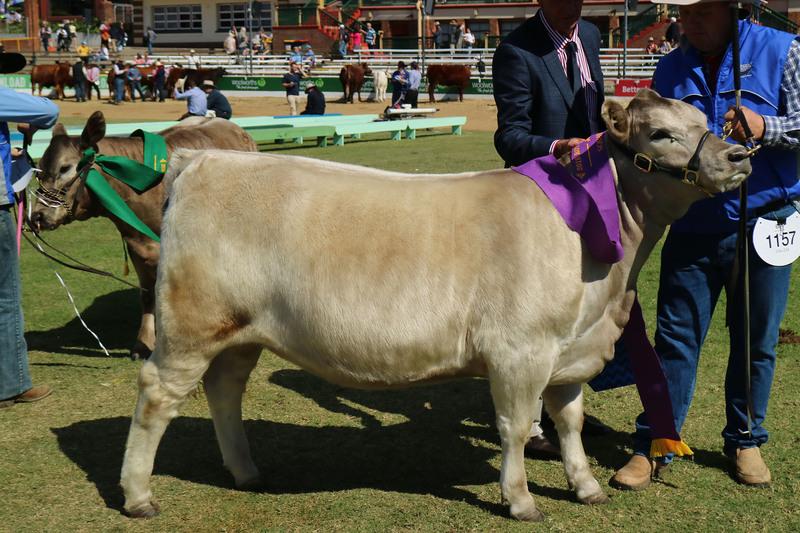 The Grand Champion had everything that we need in an easy doing functional female who is going to get out and do her job. 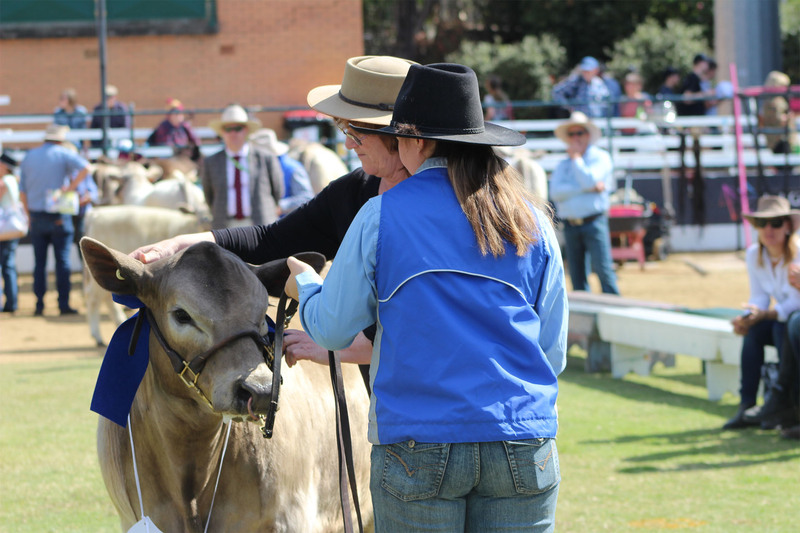 Julie Gillies from Sunset Park exhibited reserve Champion Cow with Sunset Park Molly. 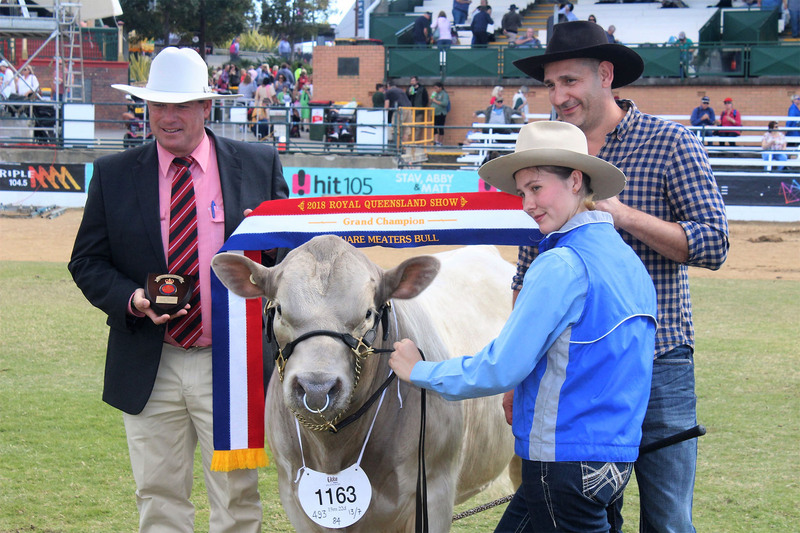 Gary and Heather Sewell exhibited Junior Champion Heifer Oakvale Never Enough, a quality heifer. 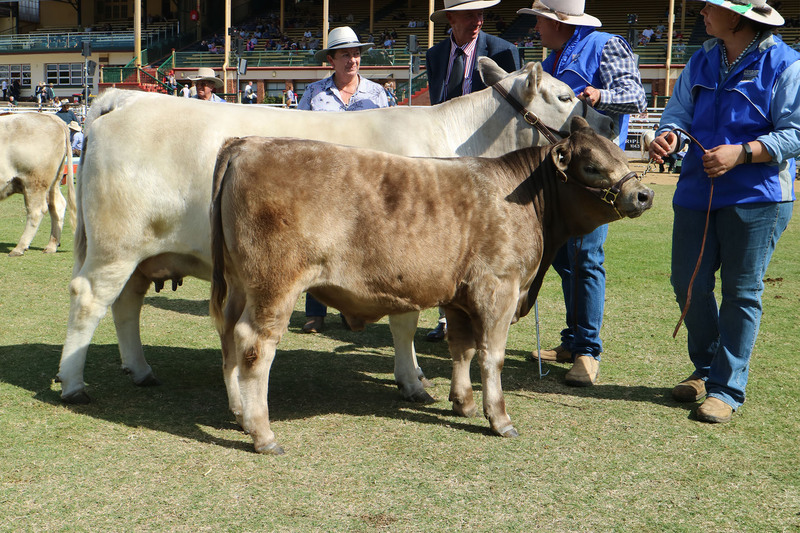 They also won first place in the pen of 3 animals, with Rosellinos Stud gaining 2nd and 3rd.